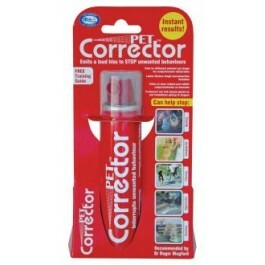 The Pet Corrector Stops: Barking, Chasing, Stealing, Jumping Up and Place Avoidance. 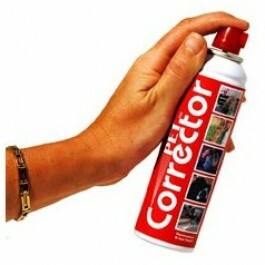 It works by emitting a hiss of compressed gas to interrupt a dog’s unwanted behaviour. This distracts the dog and allows the dog owner or trainer to insert a positive command such as "sit" or "down" and reward accordingly. Finally, always make sure that training is fun, keep training sessions short and always finish on a positive note. You can find out about other useful accessories to help improve your pet's behaviour on our problem pages. The Company of Animals is unique in its commitment to distribute and manufacture products that simplify dog training and improve animal welfare. All their products come with a training guide which should be read thoroughly before using the product.